If you want to become a certified agriscience education teacher, our program is the place for you. Through course work and high-quality school experiences you’ll become certified to teach agriscience in grades 6-12. You’ll take courses in animal science, horticulture, agronomy and soils, agricultural economics, agricultural mechanics, forestry, plant science, environmental science, and aquaculture, and learn to manage student organizations like FFA. Our faculty research initiatives are focused on solving Agricultural Education, Communications, and Leadership grand challenges in Alabama, the United States, and internationally. Both graduate and undergraduate students are actively engaged in developing, conducting, and reporting applied and basic research. Initiatives include research on: adoption and diffusion of technological innovations in agriculture; agricultural literacy and communications; secondary agricultural teacher educator humanistic perspectives; competency assessment; and research methods. We have several student outreach organizations you can join during your studies in agriscience education. All agriscience education students are members of FAST (Future Agriscience Teachers). As a member you will improve your leadership and networking skills and participate in service learning projects. You also have the opportunity to be elected to serve on the board as president, vice-president, treasurer, secretary, reporter, and sentinel. 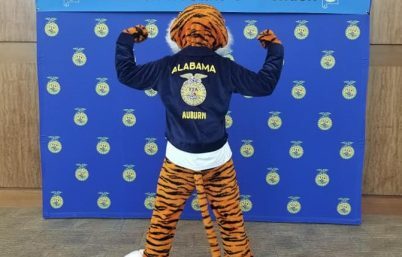 Our Agricultural Ambassadors promote the Auburn University agriscience education program throughout the state of Alabama and the nation. 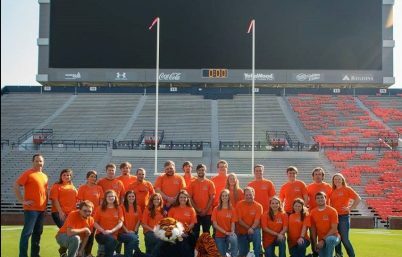 These students are highly motivated individuals who visit agricultural education classrooms throughout the state of Alabama, complete service learning projects, and represent Auburn University at local, regional, and national meetings. 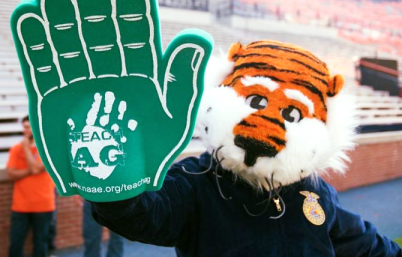 Auburn University Collegiate FFA promotes agriculture throughout campus. Students from various agricultural disciplines take part in Collegiate FFA.